This post is sponsored by Shutterfly. 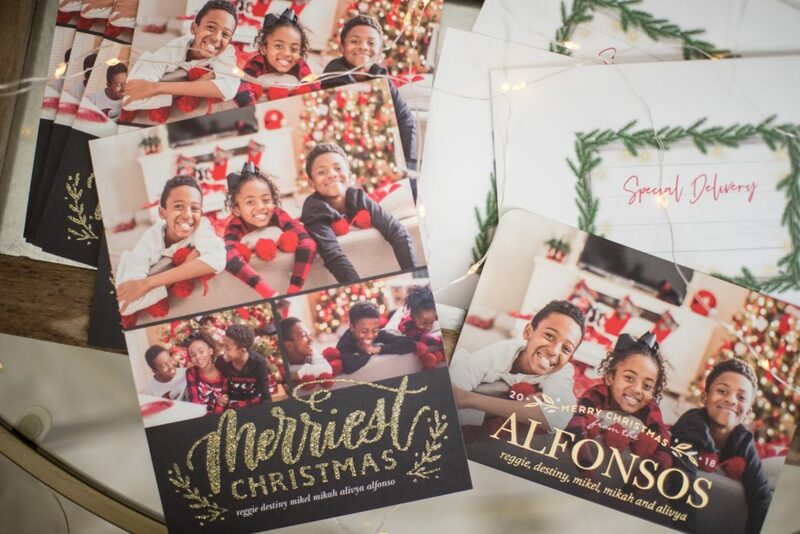 If you follow me on Instagram then you saw that I shared our family Christmas cards on my stories for this year! I find it both exciting and overwhelming to pick our cards each year mostly because I love so many of them! I spend hours across a few weeks trying to narrow down my choices until time makes me finally makes me pick one or two! Yep, I usually pick at least two cards and for the most part they coordinate with each other as well. 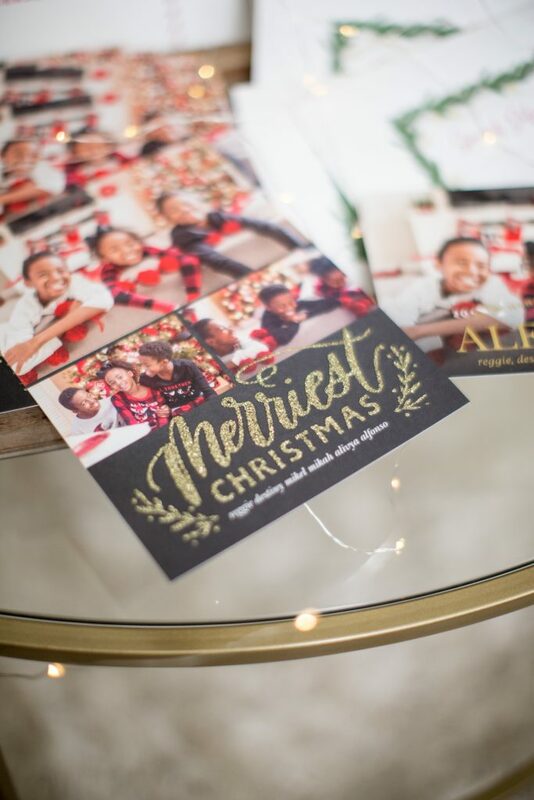 These glitter Christmas cards from Shutterfly are just my style. Timeless with a bit of fun mixed in. I love the fact that this card also has an option for multiple pictures to display as well. 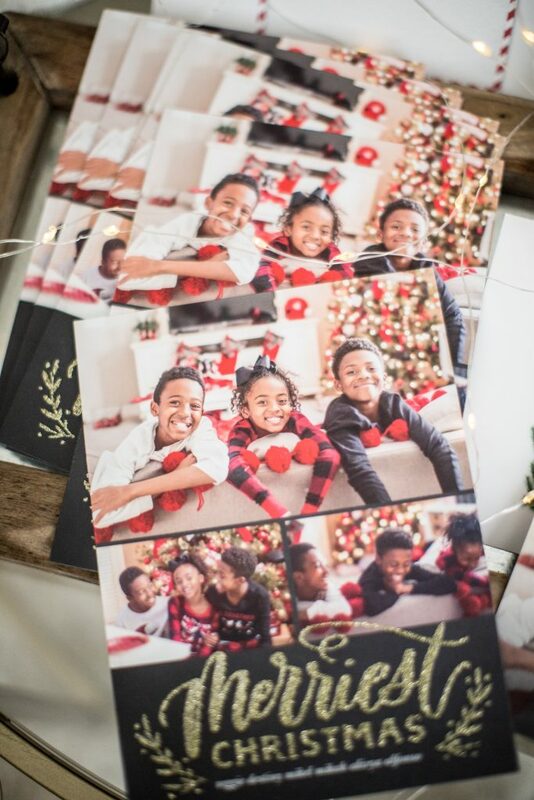 You might recognize these pictures from the Christmas tree post I wrote last month. All red buffalo check and everything! For this theme I was looking for something with red or black as the base with a bit of bling! 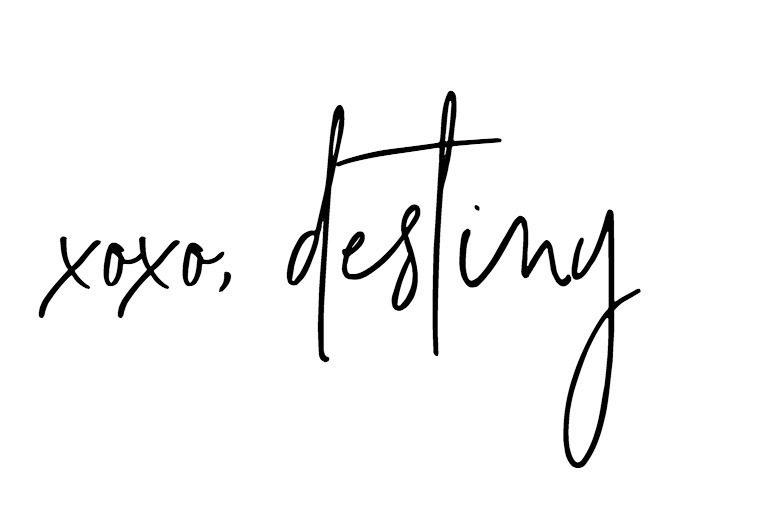 A good selection of the cards on Shutterfly let you pick a different color for the card so always be on the look out for a few different options! 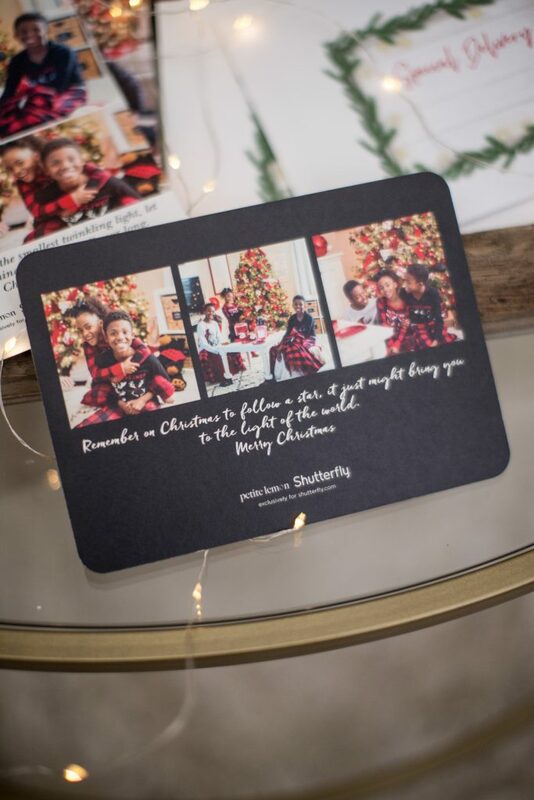 Shutterfly also lets you add pictures to the back of the card with a custom message just from your family! 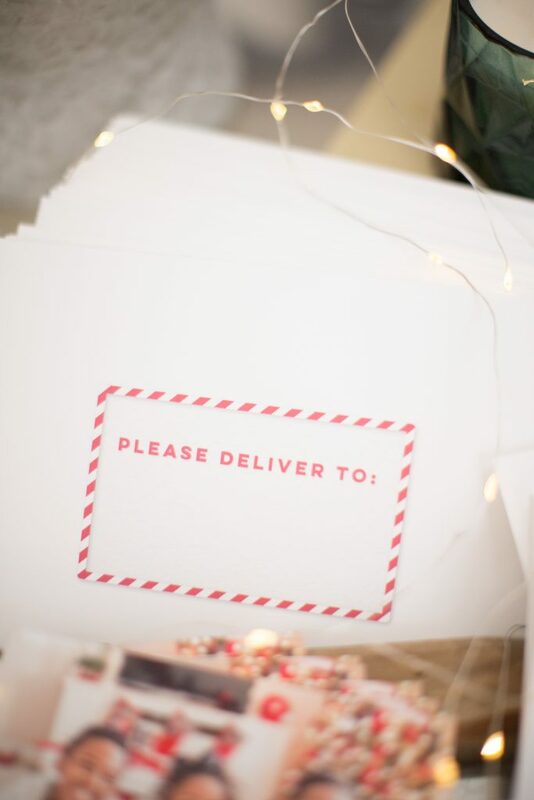 Wondering were I get all my Christmas card wording ideas? Check here! The second card I chose is apart of the personalized foil collection that’s new this year. That means your family name or message can be printed in their beautiful gold lettering that shimmers in the right light! 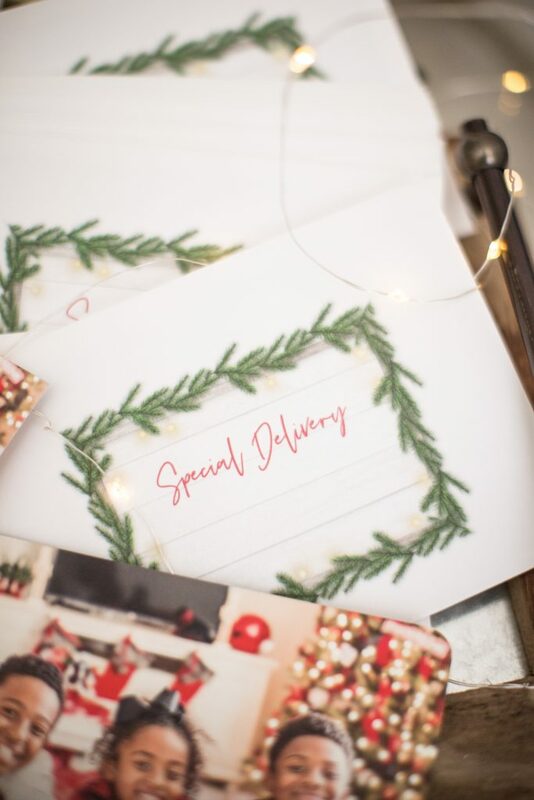 If you’re looking to really dress up your cards you can also add a liner , change the shape or even add a pre-stamped design on the fronts of your envelopes! 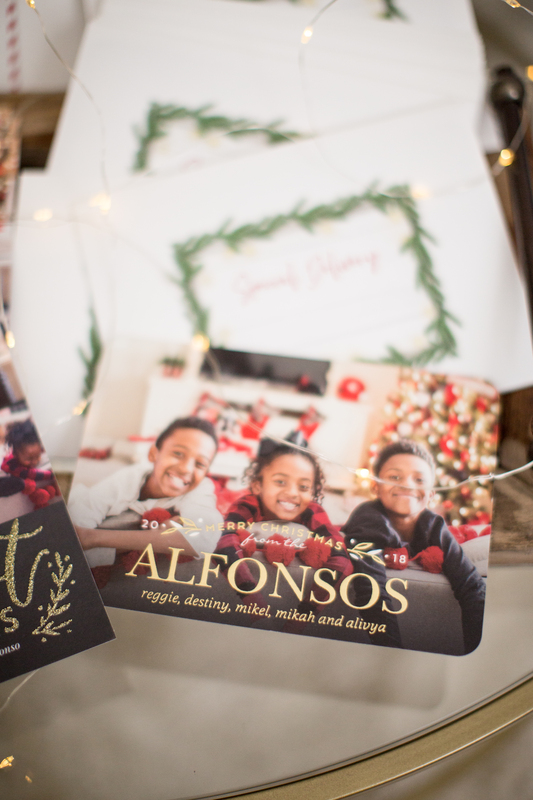 I didn’t take advantage of this service but I also wanted to tell you that Shutterfly offers a service that will address your envelopes AND send them for you! So you won’t actually get them delivered to your door. You just upload your address book to your account and go from there! One day when I get super organized I’m going to do this. I actually just updated my address book with all the addresses I asked for so you should do the same! 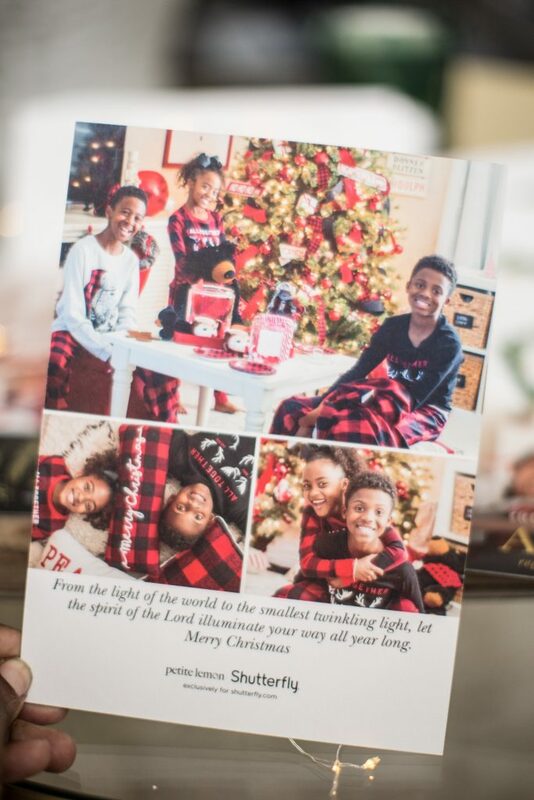 Here are some of my favorite Christmas cards that I love and I think you will too!